It’s no surprise how much I enjoy traveling. If you follow me on Instagram, you probably know that I also enjoy posting an avalanche of photos from our adventures around the globe. 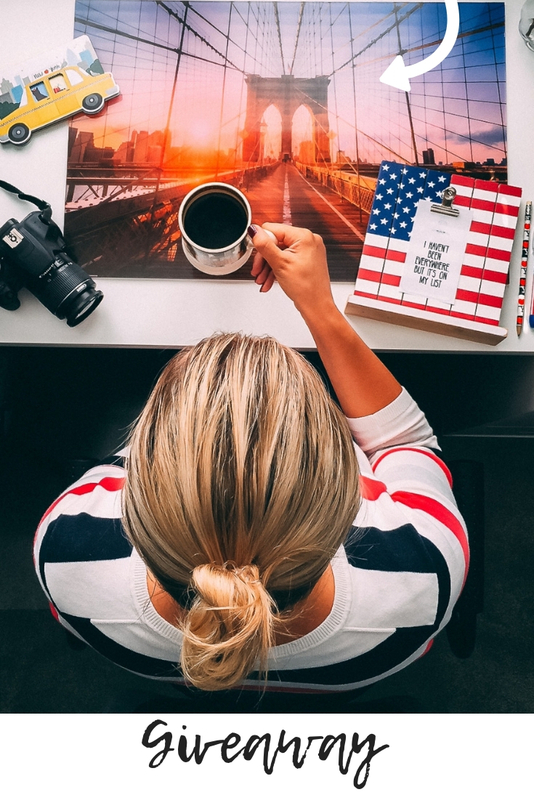 #jetlagismymiddlename Many of the messages I receive while being on the go, range from “what would you recommend doing there?” to “where is the best coffee spot?”. But most of all, everyone wants to know whether the place is worth visiting and why. I could sit here and write a dissertation on all the places I’ve been to. Instead, I want to share a somewhat different list today. It’s going to be all about my travel bucket list and why I’d like to tick those destinations off it. 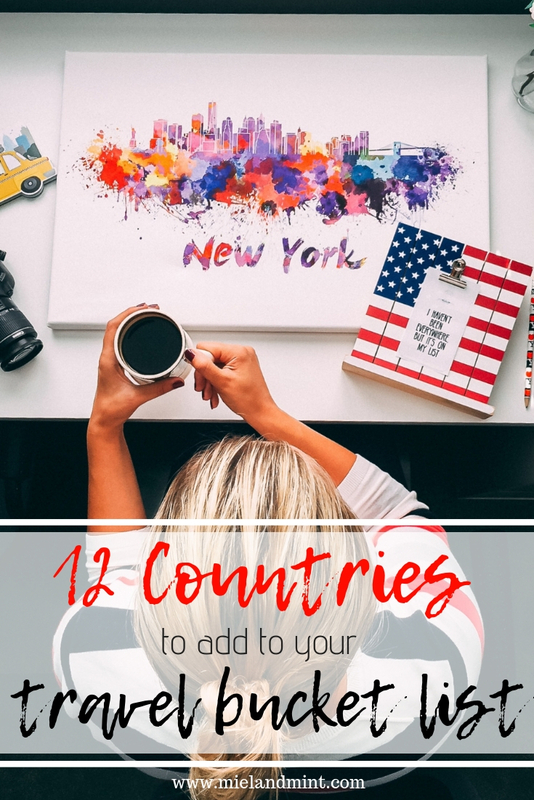 I wish I could squeeze in as many countries as possible but I will have to go with 12 at the moment to make sure this blog post isn’t too long. (Let me know if you like this post and if you do, I am happy to share more destinations and reasons why they are on my list.) The inspiration for this post came from the beautiful set of 3 canvas kindly gifted to me by Posterlounge*. 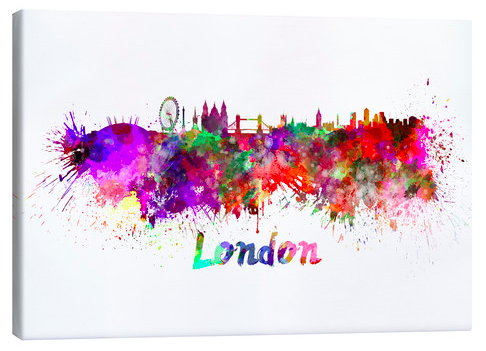 They feature 3 cities that mean something special to me and my husband. 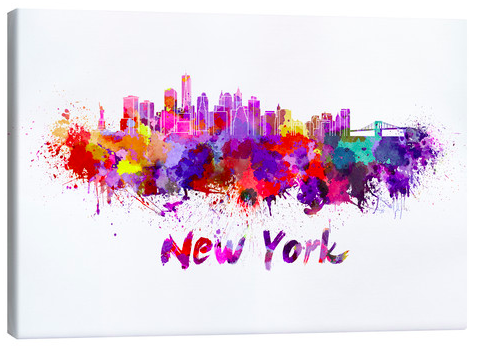 Of course, one of them had to be New York City. *I was gifted the canvases by Posterlounge but was not compensated for writing this post. All content is original, all opinions are my own and 100% honest. 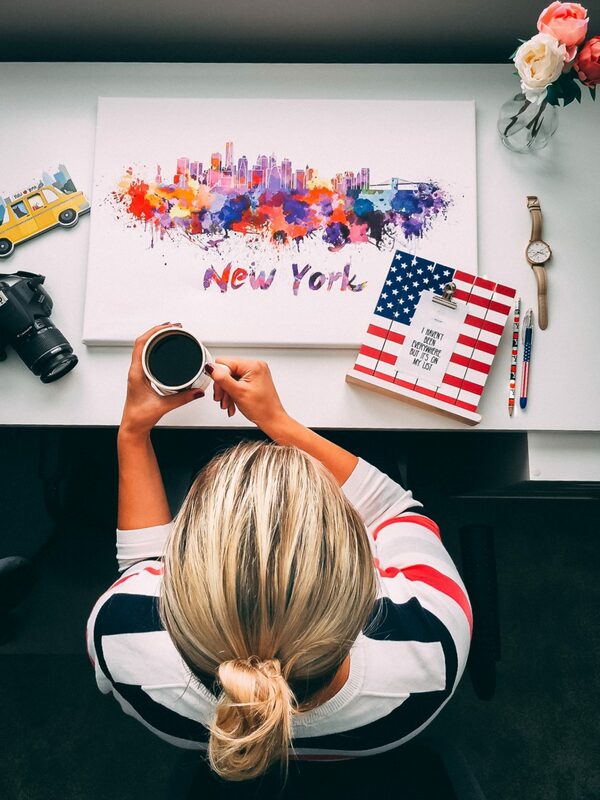 While there are many wall art / prints companies out there, Posterlounge stands out big time. They work with over 10,000 mega talented artists who produce one-of-the-kind motifs. The selection is out of this world, and you will 100% be able to find an art piece that reflects your taste and suits your needs perfectly. 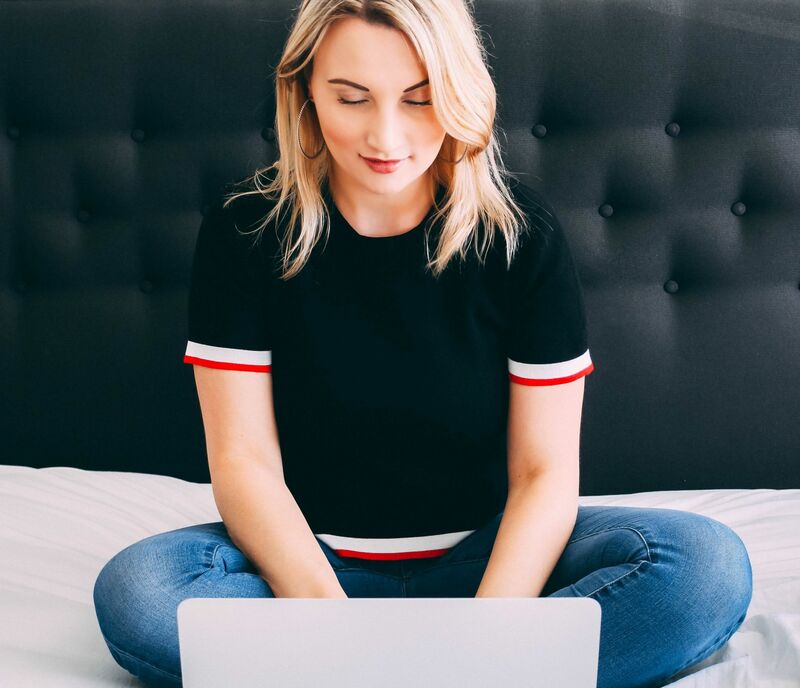 The website is very easy to use and browse. 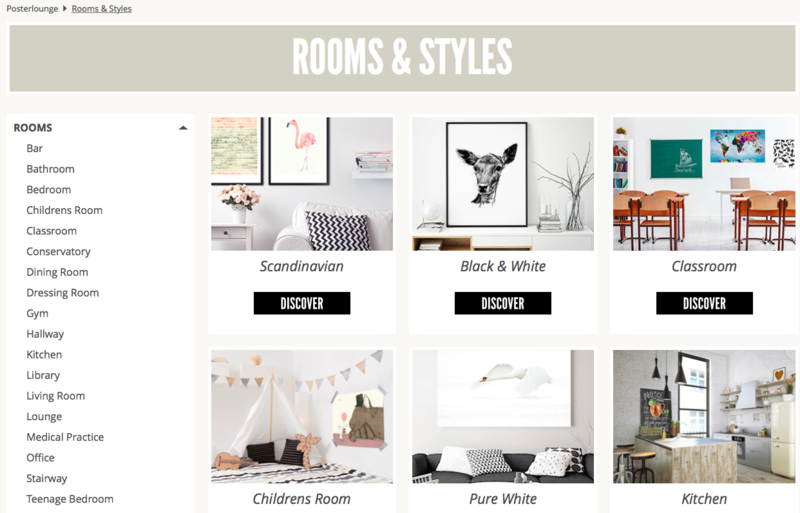 I love the menu, especially the Inspiration tab which doesn’t only supply you with an avalanche of ideas for different rooms (e.g., living room, study, kitchen or even a medical practice office) but also covers most popular styles like Scandinavian, Contemporary, Shabby Chic and others. It’s become a bit of a habit of mine to browse through Posterlounge art almost every day looking for inspiration and ordering bits and pieces for our new home. We’re currently working on our study and a number of posters and frames on our walls there come from Posterlounge. Once you’ve selected the art piece you like, you are given a choice of the material you’d like it to be placed on. The prices vary from one product to another. 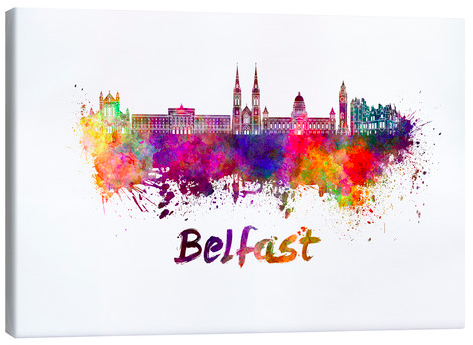 In our home we have 3 canvases as well as 1 poster and 1 acrylic glass print – all were delivered super fast, in top condition and with all the parts necessary to put them up. ➳ Stick around to the end of this post to find a little surprise from myself and Posterlounge. Probably about 70% of all the artwork we have in our home has a travel theme in one way or another. I love to roam this globe, and I want to share my travel bucket list + that wanderlust feeling. My Travel Bucket List: Where To & Why? I have been dreaming of visiting Canada for absolute ages. Vancouver is definitely a must-see, and all the stunning national parks in the Rockies and the West are simply postcard-perfect. Banff, Jasper, Yoho are all note-worthy if you love breathtaking scenery too. 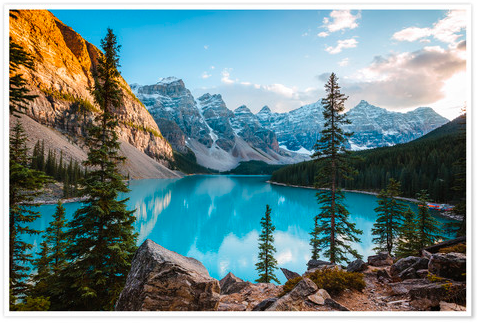 My ultimate destination would have to be stunning Moraine Lake (pictured above). Copenhagen doesn’t need an introduction being one of the most popular and most beautiful cities in Scandinavia. 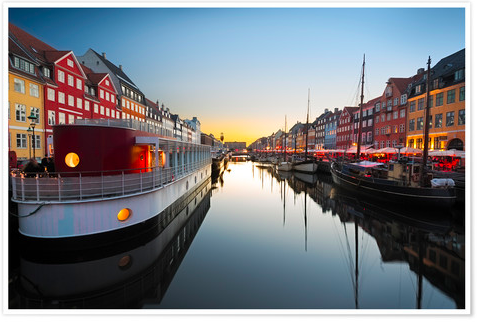 Hynavn Canal, Tivoli Gardens and The Little Mermaid statue are must-sees. Another interesting and very funky thing can be done in Aarhus at the famous ARoS Aarhus Kunstmuseum where you can get a unique rainbow (!) panoramic view of the city. 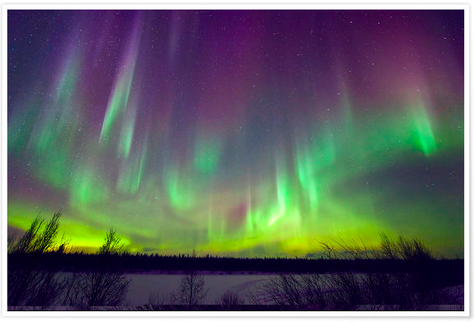 I’ve wanted to visit Rovaniemi for absolute ages. The inner child in me has always wanted to meet Santa. Lapland will always be a real deal, regardless of age. Reindeer and husky safari is another must-do! Another absolute dream would be staying at Kakslauttanen Arctic Resort and gazing at the Northern Lights from a glass igloo. Talk about being starstruck. Oh Greece… Where do you even start with Greece? 6,000 islands to pick from, this beautiful country has a lot to offer (literally!). 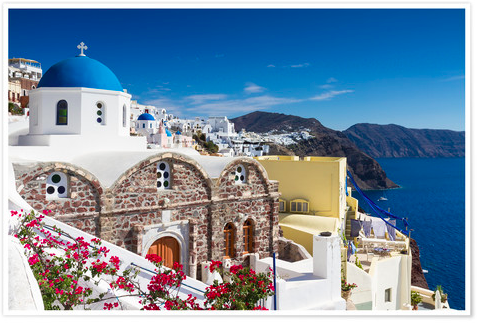 A few of my dream destinations would have to be Santorini, Naxos, Crete and Corfu. Navagio Beach in Zakynthos, views from Meteora rocks and romantic strolls in Nafplio rank very high on my travel bucket list. 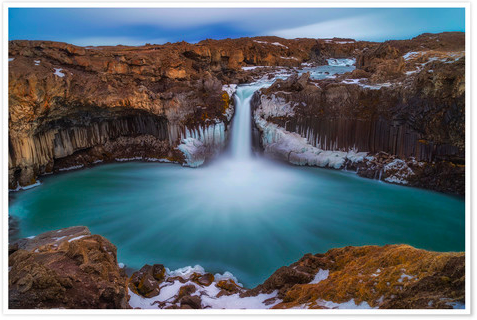 There are a number of things on my to-do list when it comes to Iceland. They range from exploring Reykjavik and chilling in the Blue Lagoon to booking a Golden Circle day trip and seeing hot springs and snowmobiling on the glacier. Glacial ice caves are an absolute must-do too. I was recommended Into The Glacier guys for that experience. This is a difficult one because where do you even begin?! There’s just so much in Italy on my travel bucket list! I really want to explore beautiful Venice and take a gondola ride. “I would walk 500 miles” and leave no stone unturned in Rome. 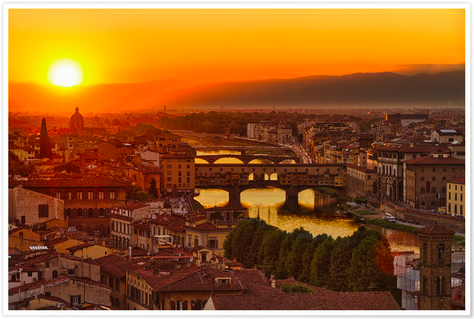 But most of all I want to visit Tuscany and see Florence. Our lovely friends Emma & Tim have just returned from the dreamiest of trips there. They got engaged in the most beautiful setting, and I am absolutely in love with their photos. I have dreamt of visiting Japan for over a decade. I’ve never been a fan of anime but Tokyo has been on my radar for a while. I love everything about this I-am-from-another-world multi-cultural city, and I specifically wouldn’t miss popping over to Harajuku and Shibuya. Also, since I have done 2 top peaks in the UK, and feel like I am such a skilled mountaineer (I am not! haha), I would definitely love to add Mount Fuji to the list. 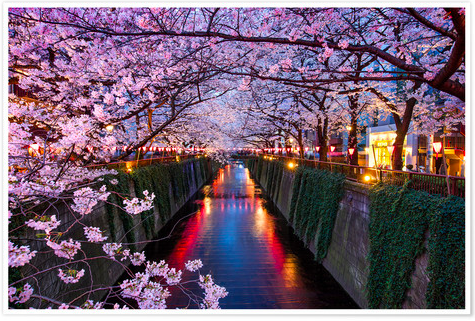 Kyoto is another huge item on my travel bucket list. I’m a bit of a history geek. 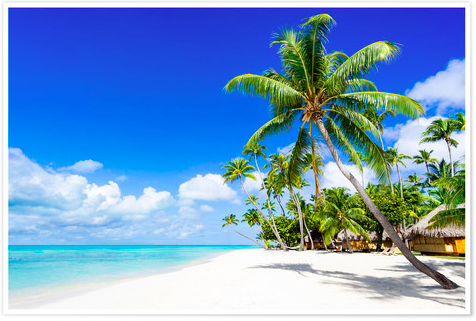 Yes, I know, we all drool over Insta snaps from Maldives. Every time I see them, I catch my breath. I mean, does anything more idyllic even exist when it comes to that #beachlife? Not only it’s a popular honeymoon destination (I would personally also recommend Mauritius or Mexico), it’s a perfect getaway. Literally. In every way. A friend who went there on her honeymoon said she rarely saw anyone, haven’t worn shoes once (and she loves her fashion!) and relaxed so much it almost felt like a crime. Sign me up! I might be biased because I know quite a lot and love everything about Norway aka “the most beautiful country in the world” according to my husband who grew up there. Even though it’s already ticked off my travel bucket list, I feel like I’ve only seen 2% of it, and this country is the one to be savoured. There are so many destinations in all parts of Norway. Southern: Kristiansand (my husband’s hometown), Lillesand and Arendal are THE places to go to. If you’re in the East, it’s all about Oslo, and if you find yourself in the west, make sure to visit Bergen. It’s all about the fjords too. 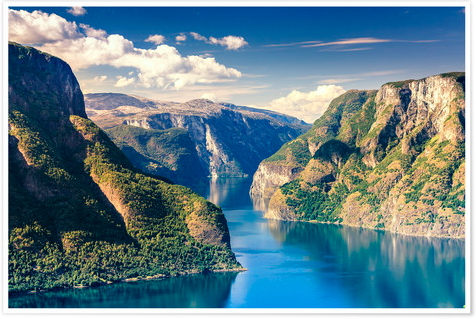 One special place on my ultimate travel bucket list is the 15-km long Geirangerfjord. The Lofoten Islands rank very high on it too. BTW, I have written blog posts on Norway here and here. What does the future look like? I think Singapore might have the answers to that question. This super progressive city-state is beyond comprehension when it comes to forward thinking and looking after the environment we live it. Despite being one of the busiest cities in the world, it’s also the greenest and one of the cleanest cities in the world! 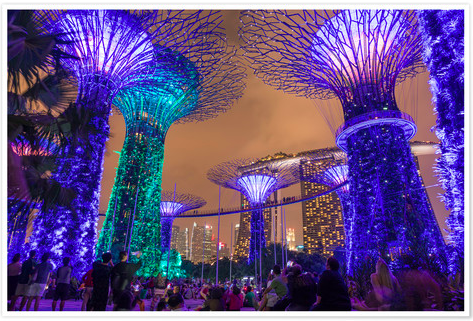 My number one must-see when it comes to Singapore is Gardens by the Bay (pictured above) as well as Marina Bay. Dreaming of getting to stay at a stunning 5-star Marina Bay Sands one day. I mean, just check out the view from their Skypark Infinity Pool. Wow indeed. Ever since Raya of Raya Was Here posted about her life in South Africa on her Instagram and YouTube channel, I fell in love with that country through her lens, especially Cape Town. Also, Cape of Good Hope, Kruger National Park and Boulders Beach are among my top destinations. 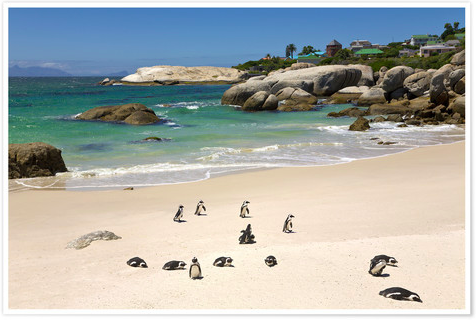 You can see and mingle with penguins at Boulders Beach. Unfortunately, it’s not recommended to pet them because they can nip quite hard (I probably would still attempt a super quick stroke). This is one country I have probably visited the most. I had also lived there for a few years so it always feels like home when we get to visit. But oh boy, where do I even start with my list of travel destinations in the US I haven’t done yet?! 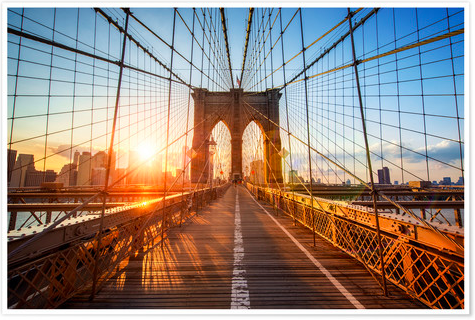 New York is, without a doubt, always on the list. I lived there, I got engaged there, I have loved it through every season. It’s so worth coming back to again and again. But the country is just so vast and so different from coast to coast! Main states/cities/places on my American travel bucket list are: Hawaii, Colorado, Nashville, Ark Encounter in Kentucky, San Francisco and San Diego, Yosemite, the Florida Keys, Boston, New Orleans (and million others!). I’ve ticked off quite a few off the list already (e.g., NYC, Orlando, LA, Las Vegas, etc.) but there’s still SO MUCH to explore in the USA! Thanks for sticking around and reading my current travel bucket list. and I hope you fell in loved with these destinations and have added them to your own travel bucket list. 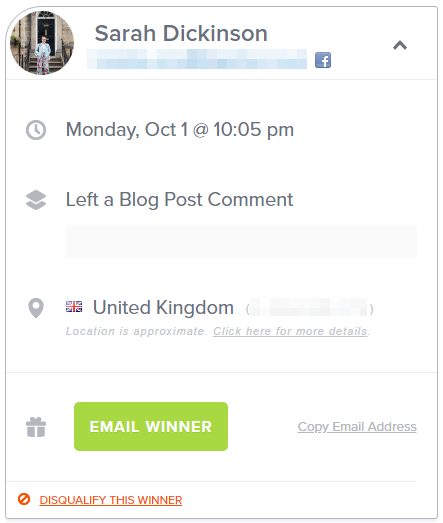 Now, it’s time for my travel-themed giveaway. and let me know what destinations are on your travel bucket list and why. What is your favourite place in the world among the countries/cities you have already visited?